This is my new perspective on the world. Welcome to the neighbourhood of Castlefield, a short hop away from Manchester city centre. 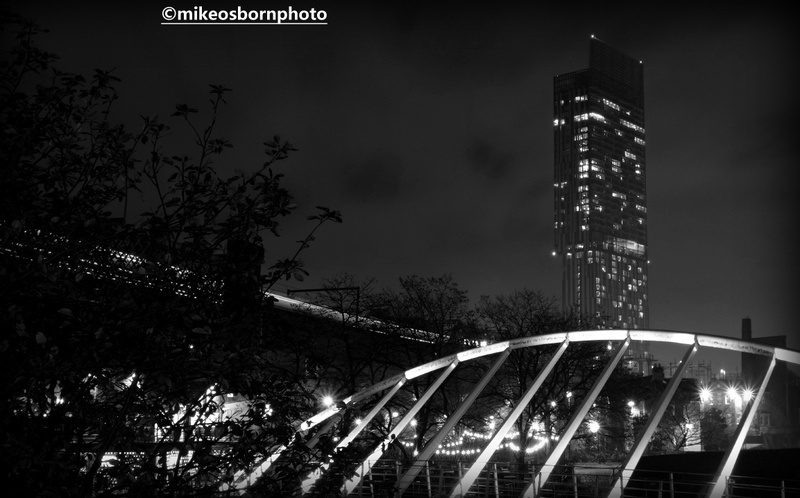 My balcony after dark takes in the arched pedestrian bridge which links both sides of the Bridgewater canal. The lights of bars and buildings opposite glow brightly. And above, a tram breezes along the viaduct. 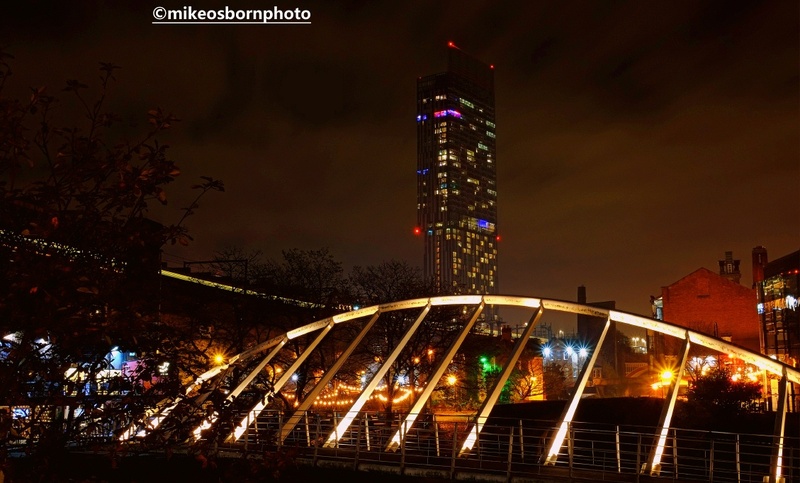 The skyscape is dominated by the city’s tallest building, the Beetham Tower, peppered with the lights of both the Hilton Hotel and loftily perched residential dwellings above. Nice shots. Is this you formally moved in now, then? Thanks Richard. Yes, that’s me done and a return to photography which is a sign I’m well and truly settled in! Good to hear! When’s the house warming, then? Looks very different to your views from your London digs. It feels more open, are you right on the canal? Lovely to hear from you, Lee. Yes, it’s quite a change to London. And I’m very much on the canal and see boats bobbing by while I’m sitting in the living room!